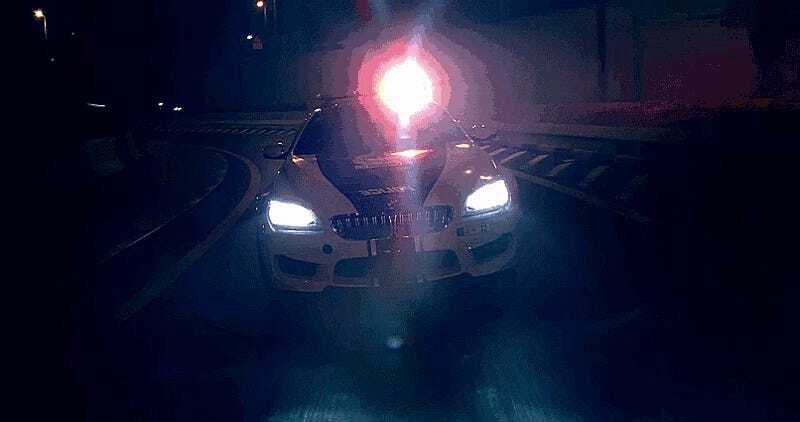 The Dubai Police have reportedly knocked down their local hooligans a peg, seizing 81 vehicles allegedly involved in street racing. And we’re not talking about clapped-out Civics; cops say some cars were clearing 180 MPH on public roads. Al Arabiya says that in addition to reckless driving “at speeds of up to 300 kilometers per hour,” some of these cars were driving without licenses plates or headlights on to try and duck police. “Major-General Khamis Mattar Al Mazeina, Commander-in-Chief of the Dubai Police, said the police were informed about cars without number plates involved in racing and stunt driving on various Dubai roads, especially in Al Aweer and Ras Al Khor areas. He said the drivers removed the number plates intentionally, thinking that the police would not be able to identify them,” writes the Khaleej Times. No reports seem to indicate what kind of charges the alleged street racers may be facing personally or exactly what they were driving, but apparently it will cost $27,000 per car and $13,600 per motorcycle to get the vehicles cut loose from police impound. If nobody claims them after three months, it’s said that the Dubai police can sell them off. Or I suppose they could always absorb the vehicles into their own impressive fleet of performance cars. I would love to get a look at Dubai’s impound lot in general, now more than ever. If the cars busted in this street-racing crackdown are as crazy as I imagine them to be $27,000 would be chump change to the owners. Then again, they probably all have plenty more cars to get themselves into trouble with. Maybe they won’t even bother picking the impounded cars up.